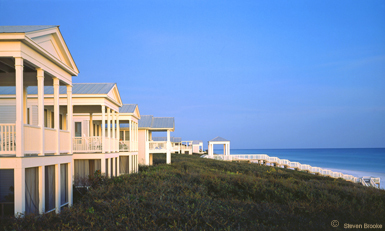 Overlooking the emerald-waters and sugar-white sands of the Gulf of Mexico, Honeybee is the perfect Beachfront cottage to celebrate sunrises and sunsets. 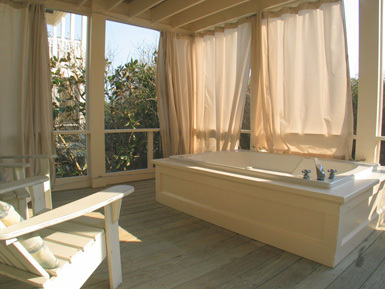 The first floor features a pillow-top king bed and bath (shower only), as well as a private dune-level screened deck, complete with Jacuzzi tub. 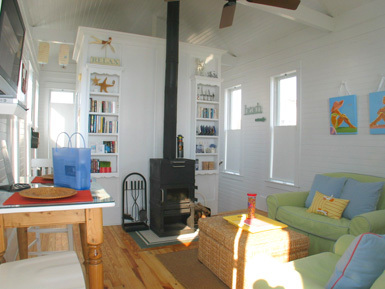 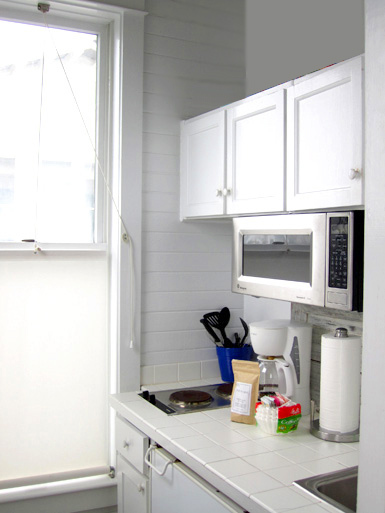 Upstairs is a living area with a twin sleeper sofa (not recommended for ages 12 and up) and a wood-burning fireplace, small kitchenette and bath. 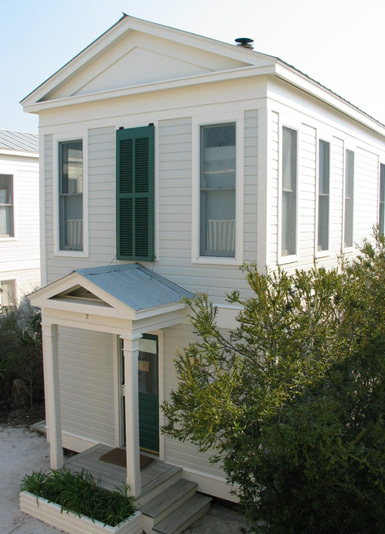 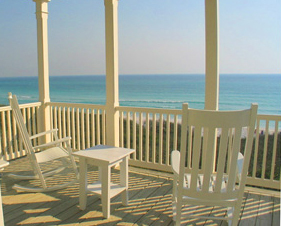 Relax on the open porch and take in the views of the Gulf and enjoy the sounds of the surf. 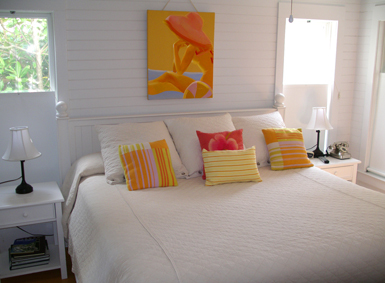 This Beachfront cottage includes daily housekeeping services and a bottle of champagne.